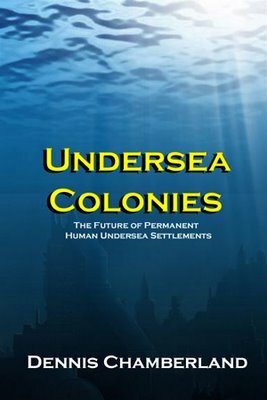 As you may know, I am in the process of writing a book titled, “Undersea Colonies” which I hope to have out in the 1st Quarter of 2007. The idea of the book is very basic: mankind has a permanent undersea population of exactly zero but that is about to change. 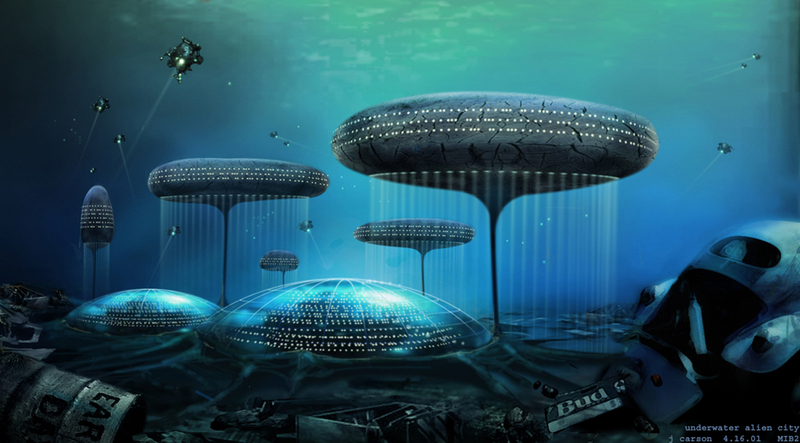 I say that because part of the reason I am writing the book is in preparation of building that permanent undersea settlement myself – Atlantica – in 2012. As exciting as all that is, there has been a certain flurry of undersea development in the past few years and I wanted to review that here with you. Note that there is a difference between an “undersea” hotel that is accessed by a tunnel or elevator and a totally submerged habitat with no access except by submarine or divers. One is a true undersea habitat and the former is absolutely not. A “hotel” arrangement connected to the surface with a tunnel is a kind of barge, ship or surface structure that partially extends underwater and is not a habitat by any means, nor is the settlement a true undersea settlement. As I said before, if this were true, than any ship with a manned engineering space below the waterline this qualifies as an undersea colony - which is silly. Yet – the world is suddenly “awash” with these proposals – and all of them designed as “undersea hotels” accessed by the surface through a tunnel or elevator. Every single one of them make the same claim: “The World’s First Undersea Luxury Resort”. Let me review them for you. This undersea hotel complex idea has bounced from being located in the Bahamas now to Fiji. The website used to promise an “opening day” and “now taking reservations” day to dropping the time promises altogether, then reposting them again. The website now says to contact them in January 2007. Hmmm. I wonder if they will really start taking cash? The site says that the first rooms will open in 2009 and will cost $15,000 per single room or $30,000 per couple for a week. I do hope they are successful. Check out their very well done website by clicking here. Also – don’t miss this awesome Youtube video! Crescent Hydroplois is a corporation that is planning undersea resorts in the above named places. The seriously funded one is the Dubai resort ostensibly funded by a wealthy Arab Sheikh. However, it seems there was a little matter of $2 Billion that became a problem so the project is now not certain anymore and there is some soft dates. The Chinese project they call the “Hydropalace” seems to have some serious Chicom money attached and it is being linkjed to the upcoming 2009 Olympics so that may actually come to pass. We’ll see. Don’t miss their website by clicking here. Aquapolis: Located at Mykonos, Cydades Islands, Greece. This is a real mystery project – another expensive, expansive undersea resort idea. They supposedly once had a website then it disappeared. One site reported they website had 'five spelling and grammatical errors in the in the overview page' – but now it appears the site is now gone so there’s no way to tell for sure. If it is true, that would not seem to inspire a lot of investor confidence, I’m guessing. Where is this all leading us? Well – if you have a LOT of money to burn, it will allow you to live in an expensive undersea room for a week and you won’t even have to get wet while you breathe all the surface air you want at one ATM. Doers it lead to new undersea empires? Hardly. But it is a great start to cultivating an impression that it is at least possible. The Atlantica Project is far different. Atlantica will begin as an undersea research community comprise of many habitats with no surface tunnel – accessible by submarine or divers. It is designed to be a permanent, manned colony comprising the first human undersea settlement. It is scheduled to being its first day of operation in May of 2012. Our website will be substantially populated by late January 2007.